AT Stills Arizona School of Dentistry and Oral Health (ASDOH) is collaborating with GC America to enhance technologies that continue to improve overall health and wellness. 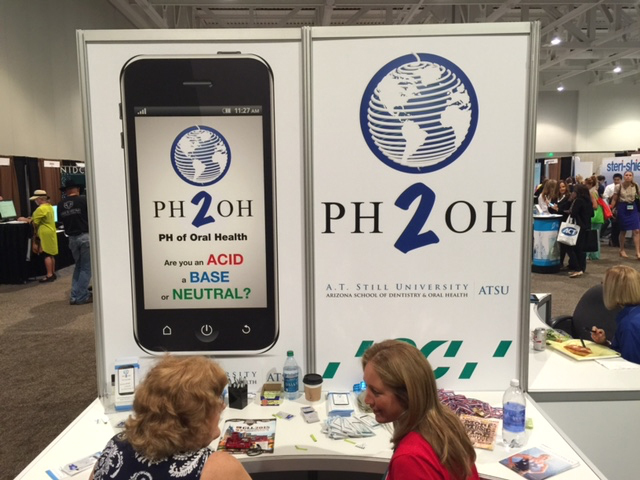 ASDOH has launched a new application called PH2OH (pH of Oral Health). The PH2OH App measures and records the pH of saliva, which is known to play an important role in maintaining good oral health. The goal of bring together ASDOH’s technology and GC America’s innovative oral health products is to continue to support the vitality and well-being of people all over the world. 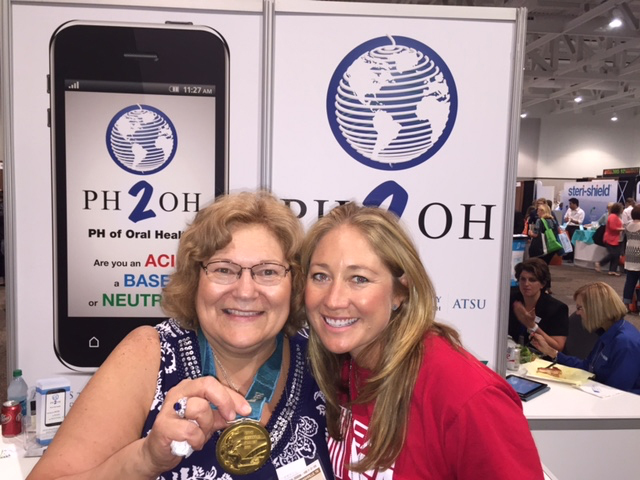 AT Still/ASDOH and GC showcased booths at the 2015 American Dental Hygienists’ Association (ADHA) Meeting in Nashville, Tennessee. ASDOH’s PH2OH booth was at the Innovation Center in collaboration with GC America, a major partner with the purpose of enhancing technologies that continue to improve overall health and wellness. Misty Hyman, American Olympic swimming gold medalist, joined ASDOH as a health and wellness ambassador. She chatted and interacted with attendees while they learned about the technology initiatives. Supporters of PH2OH, including gold medalist Misty Hyman, convene at the PH2OH booth. Annette Scheive from GC on the left and Misty Hyman, Olymic Gold Medalist on the right at the ADHA. ASDOH and GC were proud to be participants in the Innovation Center at this year’s ADHA!